This screening is to celebrate the two-year anniversary of the U.S. Supreme Court’s “Whole Woman’s Health v Hellerstedt” decision, which successfully challenged Texas’ TRAP laws. 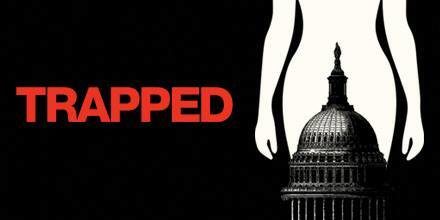 Following the screening, there will be a panel discussion, as well as an opportunity for attendees to take action to defend reproductive rights. Panelists are an attorney from the ACLU-NC, an organizer from SisterSong Women of Color Reproductive Justice Collective, and a North Carolina abortion provider. Please join us to advocate for access to safe and medically accurate reproductive healthcare. Co-sponsors: Raleigh NOW, NARAL Pro-choice North Carolina, Tuesdays With Tillis, Temple Beth Or Social Action Committee, and Triangle Indivisible groups. Flyer is at Trapped_Flyer. You are welcome to print and hang up to invite people. For more information on the documentary, please visit trappeddocumentary.com. Co-sponsored by Raleigh NOW, NARAL Pro-Choice North Carolina, Tuesdays With Tillis, Temple Beth Or Social Action Committee, and more. This entry was posted in abortion, Access to facilities, health care, pro-choice, reproductive rights and tagged abortion, Access to facilities, health care, pro-choice, reproductive rights. Bookmark the permalink.